One of the most famous monuments in Budapest is the Fisherman’s Bastion, which is located in the Buda Castle area. The unrivalled panorama that can be seen from the terraces of the Bastion is a must for tourists visiting our city. 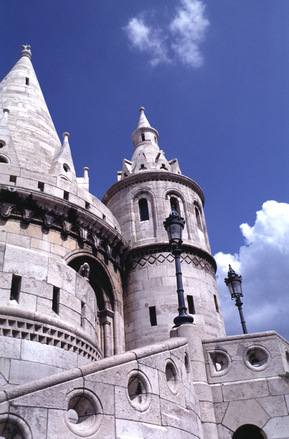 The Fisherman’s Bastion with its 140 meter long main facade runs parallell to the Danube. The site was built at the old city walls of Buda between 1895 and 1902 in neo-Romanesque style. The stone towers symbolize the leaders of the seven Hungarian conquerors. In my point of view and according to many, this particular monument looks older than it actually is. Its name refers to the fact that during the Middle Ages this part of the town wall was protected by fishermen. 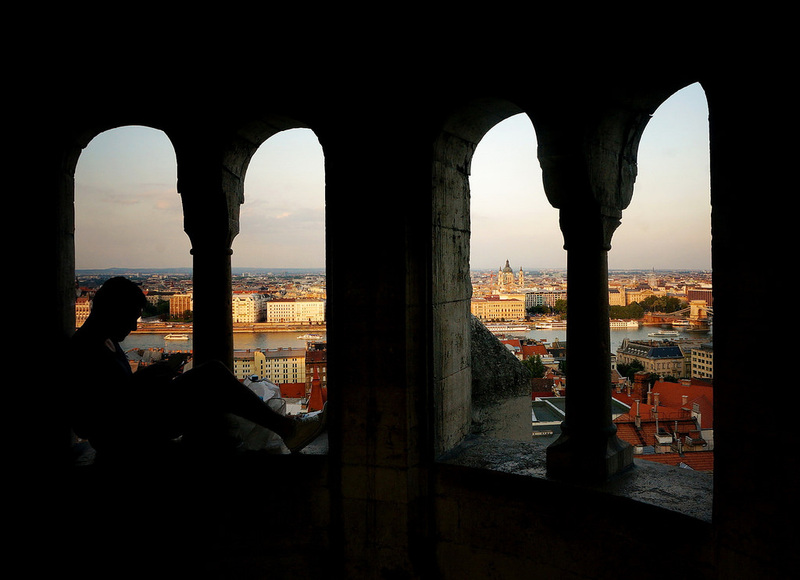 Since 1987 it belongs to the UNESCO World Heritage sites as part of the Castle District of Buda. If you would like to view the city from the upper part of this unique building, there is an entrance fee to pay. Full price is 700 HUF (around 2,3 EUR). Students with a student ID card and senior citizens from European Union get a 50% discount. If you have a Budapest Card you will get a small discount, so the full-price ticket will cost 630 HUF (around 2,1 EUR). If you are on a tight budget, I suggest you take the stairs on the northern most point of the bastion. As there is a bar, they don’t ask for an entrance fee there and you can enjoy the view and take your photos for free.